Flow meters BC for middle flow rates. The “BC” series flowmeters are the flow rate measuring devices, suitable for the medium flow rates of liquid and liquid gases. 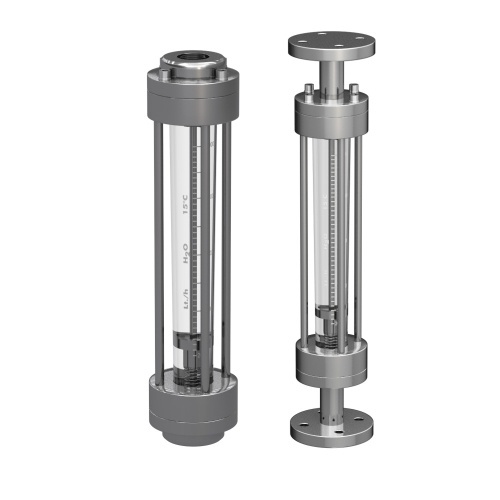 Value of the current flow is read with the excellent accuracy on the graduated scale, printed on the calibrated conical body made by polycarbonate (makrolon) – maximal thermal endurance is 120 °C or polysulphone (non-toxic and unbreakable) - maximal thermal endurance is 160 °C. The connection can be either flanged or threaded.